We are heartbroken, grieving, and angry in the wake of the horrifying massacre at Masjid Al Noor and Linwood Masjid in Christchurch, New Zealand. We are holding and honoring the 50 people who were murdered and their families and loved ones, and praying and hoping for healing for the many injured. We are particularly horrified to see yet another white supremacist attack on a place of worship. A community’s sacred space should be safe — whether it is a mosque, synagogue, church, gurdwara, or other holy place. Violation of a community prayer space uniquely and seriously impacts its congregants and the community as a whole. 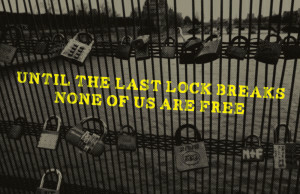 It sends a threatening message to all, and right now people across the globe are mourning. In the wake of this attack, we remain more committed than ever to organize together against Islamophobia and white supremacy. We believe that is the only way we can stop these types of attacks from continuing to happen. 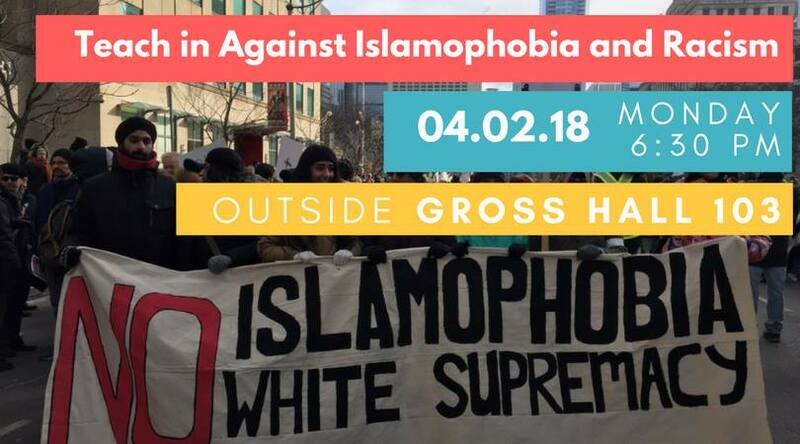 We understand that Islamophobia is rooted in anti-Black racism, intertwined with anti-immigrant xenophobia, and that the same forces attack Jews, women, LGBTQ people, and other communities. 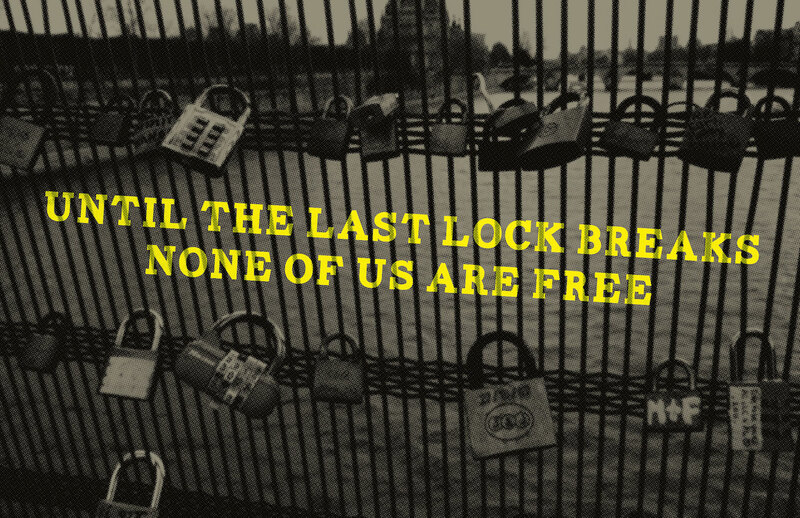 We are fighting for safety and liberation for all of our people. This attack did not happen only because of the actions of a few hateful individuals. This was a white supremacist attack, directly rooted in white supremacy and the Islamophobia, anti-Black racism, antisemitism, Xenophobia, and colonialism which comprise and underlie it. In attacker Brenton Tarrant’s 74-page racist manifesto, he invokes anti-immigrant tropes including the white fear that [Muslim] immigrants are “invaders” who will “replace” white people in Europe and in settler-colonial countries such as the U.S. and Australia. He also celebrated Trump as a symbol of white identity. We must understand this attack in a broader context. As people living in the U.S., we must remember that the United States plays a particular role in a global system of Islamophobia and white supremacy, using the so-called war on terror to entrench the myth that Muslims are a violent threat. The United States has an agenda of dehumanizing Muslim people to defer criticism of long running wars and drone attacks to help our country profit from resources and geopolitical influence. It is this white supremacy that lay the groundwork for this tragic attack. It is Islamophobia that allowed the federal government to create ICE in 2002, which is now terrorizing immigrant communities across this continent. It is this ideology which the Chinese government invokes to justify its mass imprisonment of the Uyghur community in Xinjiang. It is white supremacy that led to white supremacist attacks on the Tree of Life Synagogue in 2018, Emanuel AME Church in 2016, and the Sikh Temple of Wisconsin in 2012. It is this anti-Black and Islamophobic framework that is underneath recent attacks on congresswoman Ilhan Omar. And, we understand that relying on law enforcement ultimately does not keep our communities safe. Police departments in the U.S. have a long-standing relationship to white supremacist ideologies, having emerged through the institutionalization of capturing and re-enslaving Africans and people of African descent seeking freedom. The connection of police departments to racism against Black, Brown, and Arab people continues today through racial profiling, mass incarceration, collaboration with ICE, and exchange programs with the Israeli military. We also note the mistreatment and abuse of transgender and non-binary people and the harassment of women wearing hijabs and modest dress at the hands of police departments here in North Carolina and beyond. Audre Lorde teaches, “for by this weapon / this illusion of some safety to be found / the heavy-footed hoped to silence us.” We agree with her that “it is better to speak.” We believe authentic relationships with one another and action aimed at breaking down systematized white supremacy are how we support and protect our people. Therefore we call on our communities, as we sit with and move through grief and heartbreak over these precious lives lost in Christchurch, to also take action together against white supremacy in all its forms. We believe that together we can end the intertwined evils of anti-Black racism, Islamophobia, Xenophobia, and antisemitism, and that our work for liberation must be collective. We call on our communities to protect each other with love and care. Check out the following list of events that were organized/supported by Movement to End Racism and Islamophobia. 12/13/2018: Press Conference and Protest for the release of Abdoulie Sowe. 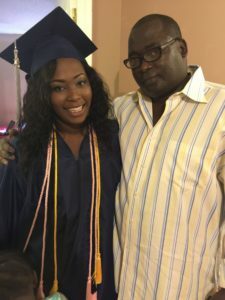 Abdoulie Sowe is a Gambian resident of Raleigh who was detained by ICE in 2018. 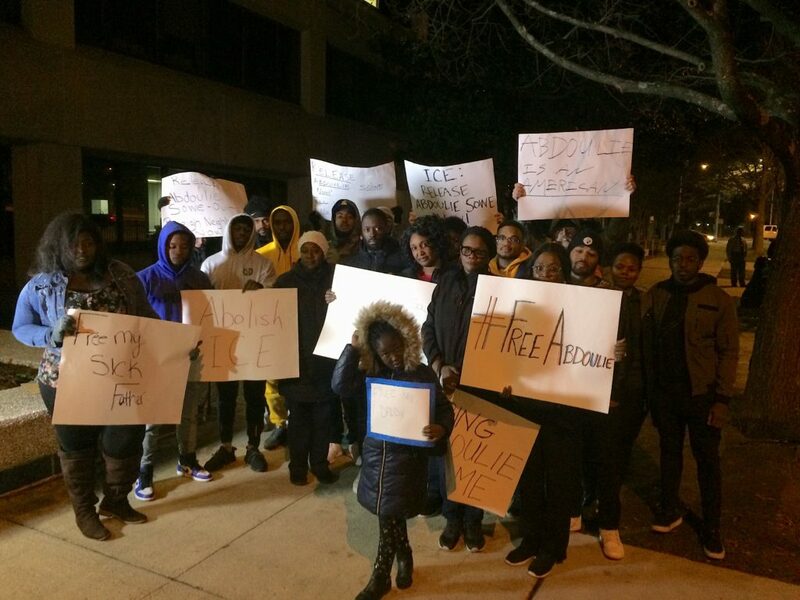 MERI worked with family and friends of Abdoulie Sowe to demand his release. 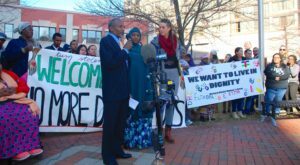 A press conference and protest was organized outside Federal Building in Raleigh to demand an end to deportation and detention of Abdoulie Sowe. Family and friends of Abdoulie Sowe joined the press conference and protest to demand justice for Abdoulie Sowe. 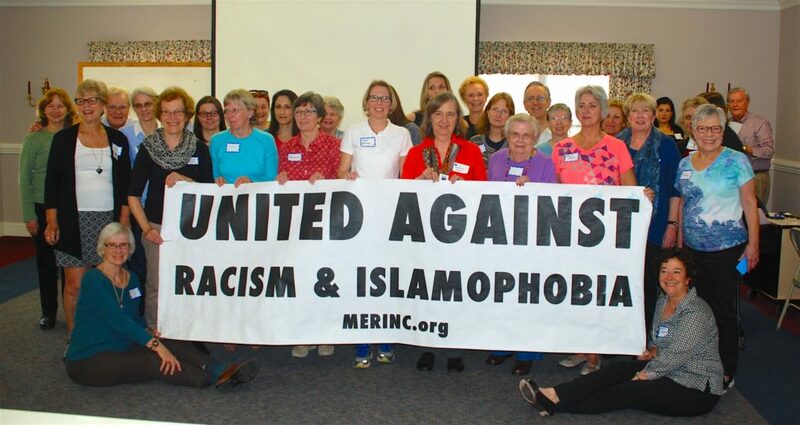 MERI supported a forum against racism, Islamophobia, and anti-immigrant/anti-refugee oppression at Tarboro Rd Community Center in Raleigh in October 2018. Community members who have been impacted by these oppressions, including Imam Ukkashah Muhammad, Rolanda Byrd, Zohra Oumous, Fatime Sowe, and other members spoke at the event. Triangle community members gathered to build a media campaign to seek justice for Sheikh Ukkashah Muhammad. Shiekh Muhammad bag was removed from an American Airline plane without his knowledge, an incident he considers is a result of profiling agains Muslims and African Americans. Sheikh Ukkashah Muhammad with members of MERI Media Workshop. 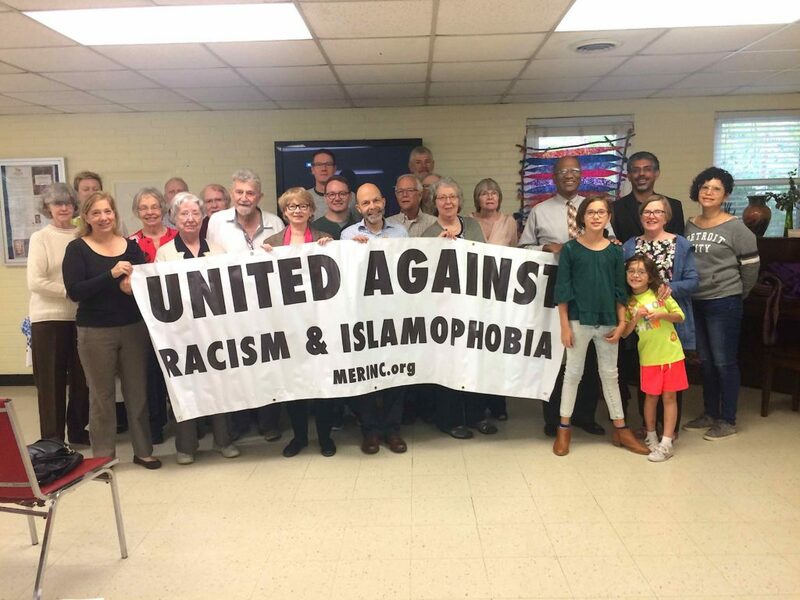 10/14/2018: Presentation titled “Challenging Racism and Islamophobia” at Community United Church of Christ in Raleigh, NC. This presentation was made by MERI member, Manzoor Cheema. Some of the topics discussed included exploring Islamophobia from racial lens, similarities between institutional Islamophobia and racism, and how to challenge these oppressions. 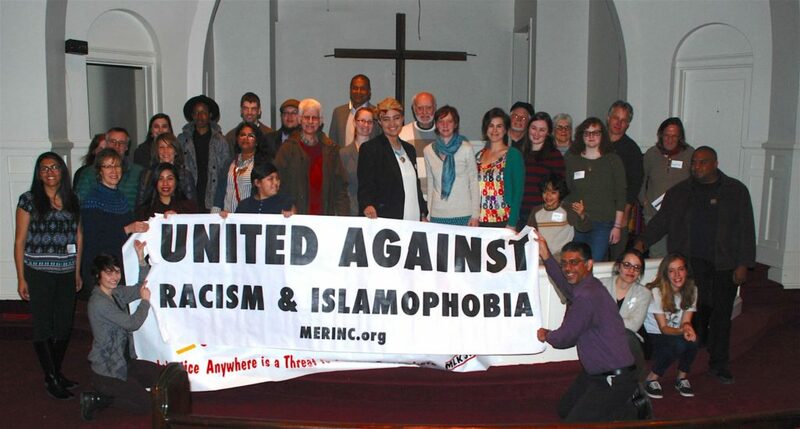 Congregants and friends of Community United Church of Christ who participated in anti-Islamophobia presentation. 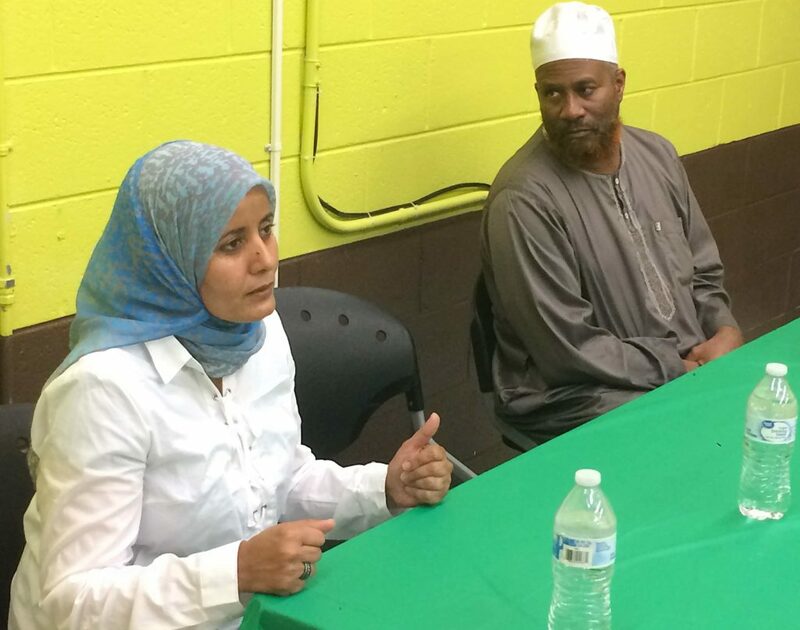 Sheikh Ukkashah Muhammad and Zohra Muhammad described anti-Muslim and racist attacks against them during a press conference in Raleigh in August 2018. Sheikh Muhammad’s bag was removed from inside an American Airline plane without informing him. Ms. Oumous was denied visit to her son at Maury Correction Institute in Eastern NC for wearing a hijab. Zohra Oumous and Sheikh Ukkashah Muhammad are speaking at the press conference on racism and Islamophobia. Triangle friends attended a Muslim art exhibit in connection with a fundraiser for MERI. 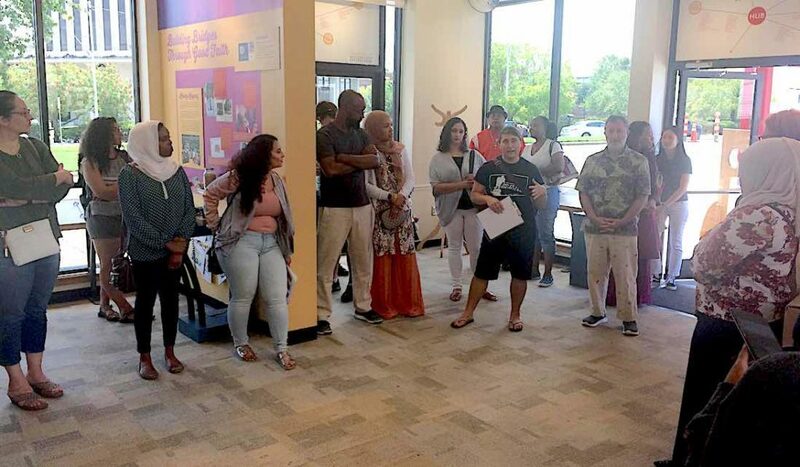 This art exhibit, titled “History of Durham’s Ar-Razzaq Islamic Center”, was hosted by The Museum of Durham History. The exhibit depicted the history of one of the oldest Muslim communities in North Carolina. 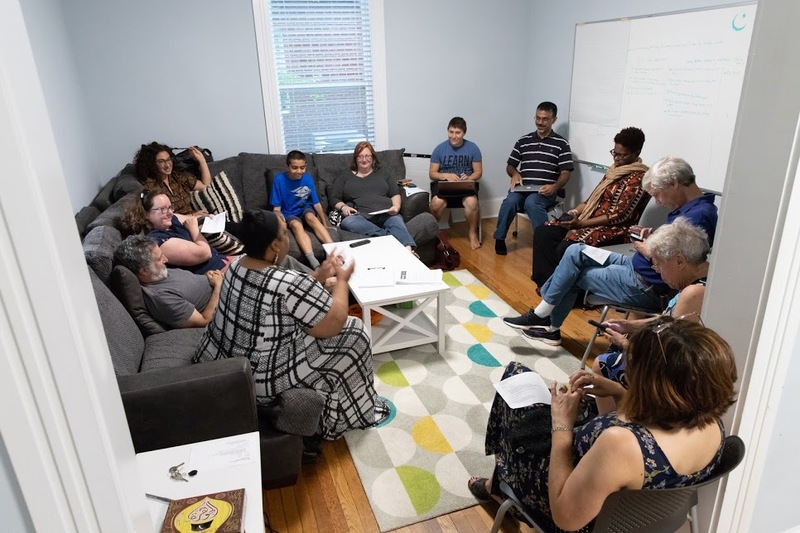 Triangle based community members impacted by and fighting racism, Islamophobia, and immigrant/refugee rights gathered for an assembly or open space to strategize building a stronger anti-oppression movement. 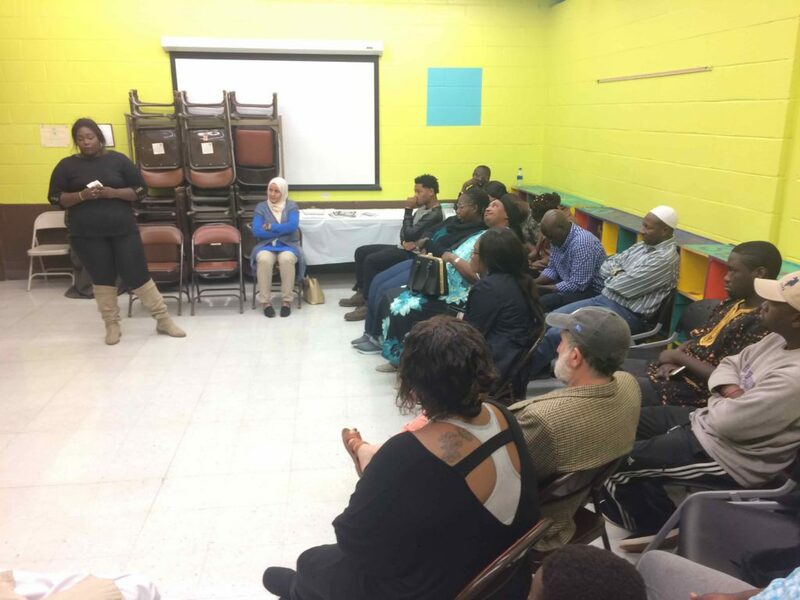 This assembly took place at Fruit of Labor World Cultural Center in Raleigh, NC. 07/31/2018. Media Workshop Against Racism and Islamophobia. 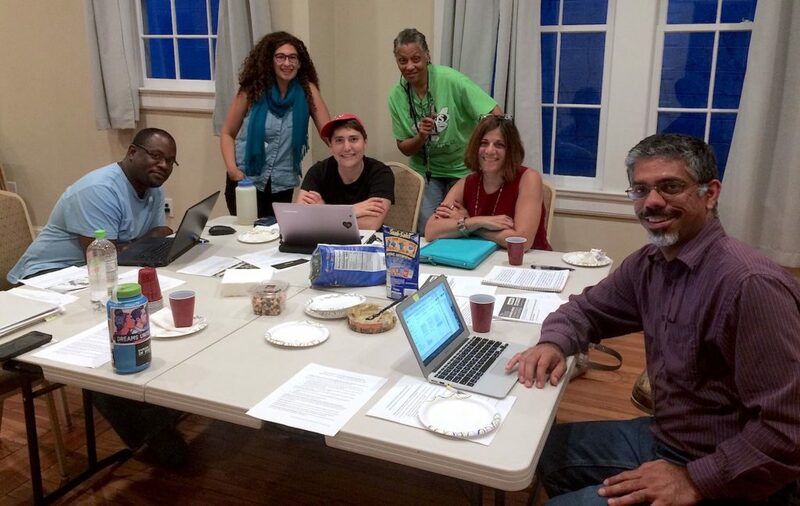 MERI organized a quarterly media workshop against racism and Islamophobia in July 2018, at the LGBTQ Center of Durham. Participants wrote letters to the editor and developed media campaigns to challenge racism, Islamophobia, and other forms of oppressions. 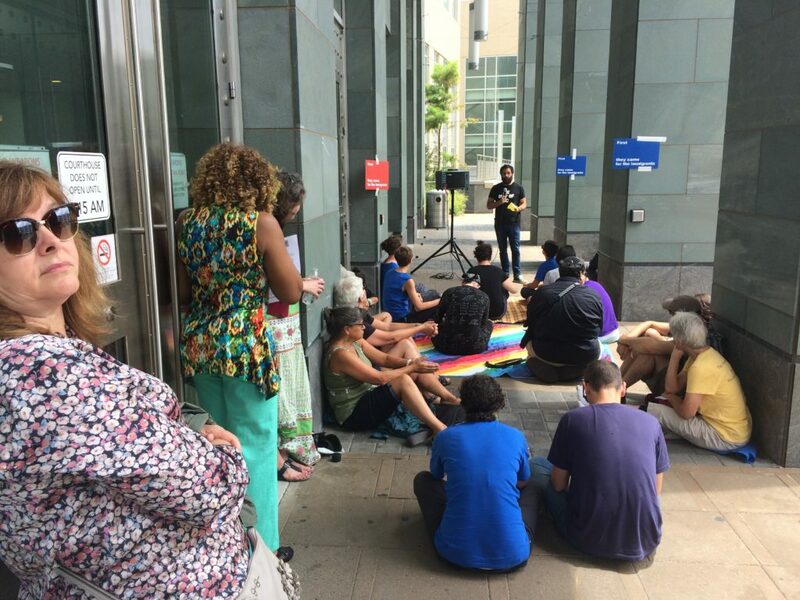 Carolina Jews for Justice commemorated the Jewish holiday of Tisha B’Av to mourn the oppression against immigrants and refugees. MERI members and people from different backgrounds attended this solidarity event for immigrants and refugees. 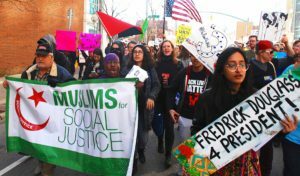 03/04/18: Workshop Against Islamophobia and Racism at Judea Reform Congregation in Durham. 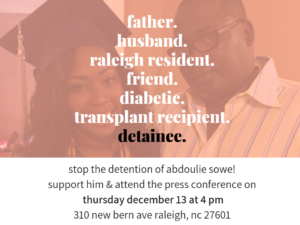 Friends of Raleigh community member Abdoulie Sowe have called a press conference to demand that he be released from ICE detention and returned home to his family. The Movement to End Racism and Islamophobia, Muslims for Social Justice, and the North Carolina Gambian Association will gather at 4PM Thursday, December 13th at the Federal Building. The organizations are calling on Representative David Price and Senator Thom Tillis to advocate on Sowe’s behalf. They are also calling on ICE Atlanta Director Sean Gallagher to grant Sowe’s Stay of Removal and return him to his family. Sowe has lived in Raleigh for over 25 years, and he is the father of three children and the primary breadwinner in the family. His youngest daughter, age 6, has special needs. Sowe been held in immigration detention at Stewart Detention Center for the last three months. His family is also concerned about his physical health: Sowe suffers from kidney disease, diabetes, and hypertension, and he was a recipient of a kidney before his detention — and missed necessary anti-rejection medicine during his detention at Stewart Detention Center. If deported, Abdoulie cannot receive the medical treatment he needs to stay alive. WHAT: A press conference with speakers including Sowe’s family members and representatives of various community organizations. WHERE: The Federal Building in Raleigh, 310 New Bern Ave.
Movement to End Racism and Islamophobia is a North Carolina-wide network which stands and acts together against all forms of Islamophobia and racism. 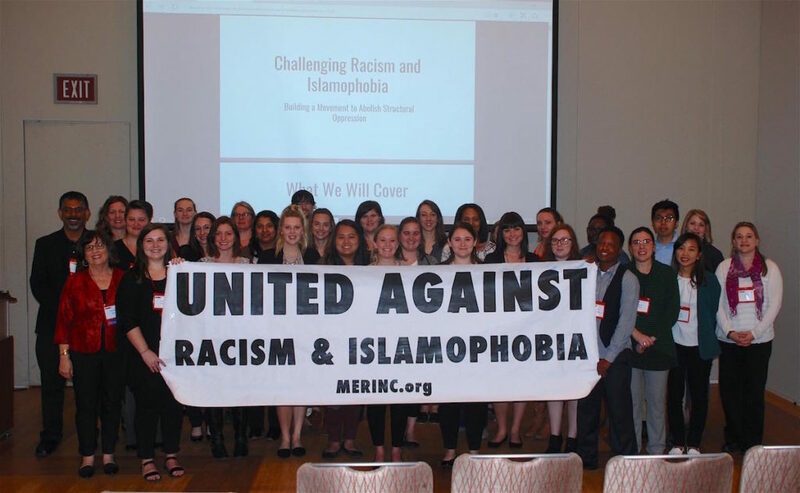 MERI understands both Islamophobia and racism within a framework that sees how discrimination based on race, class, gender, sexuality, ability, and religion are part of multiple, interlocking forms of oppression that reinforce and sustain one another. More information and a list of partner organizations are available at http://merinc.org. North Carolina Gambian Association can be found at https://www.facebook.com/North-Carolina-Gambian-Association-589471694462274/. 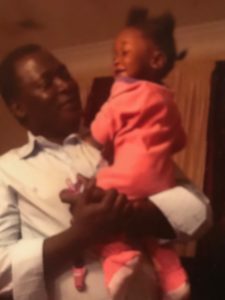 Abdoulie with his daughter, Mariam. Mariam has special needs and needs her father at home. 11/12/17: MERI Workshop at As-Salaam Islamic Center in Raleigh. 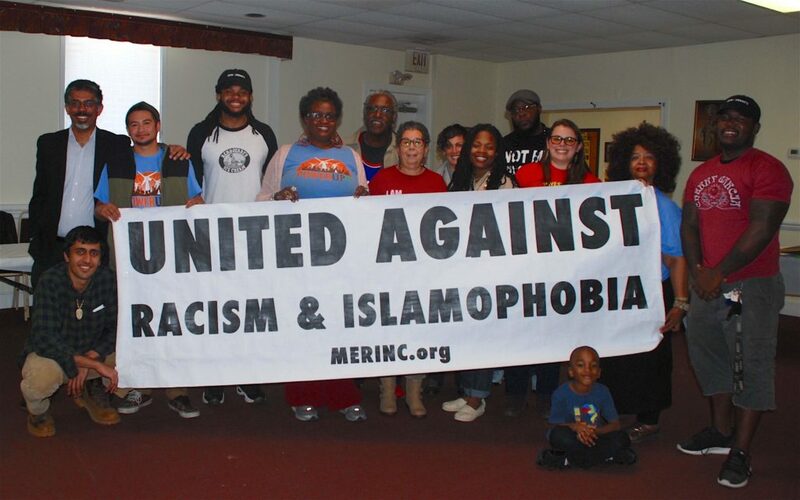 MERI members Letha Muhammad, Noah Rubin-Blose and Manzoor Cheema co-facilitated anti-Islamophobia workshop at the historically Black mosque in Raleigh – As-Salaam Islamic Center. 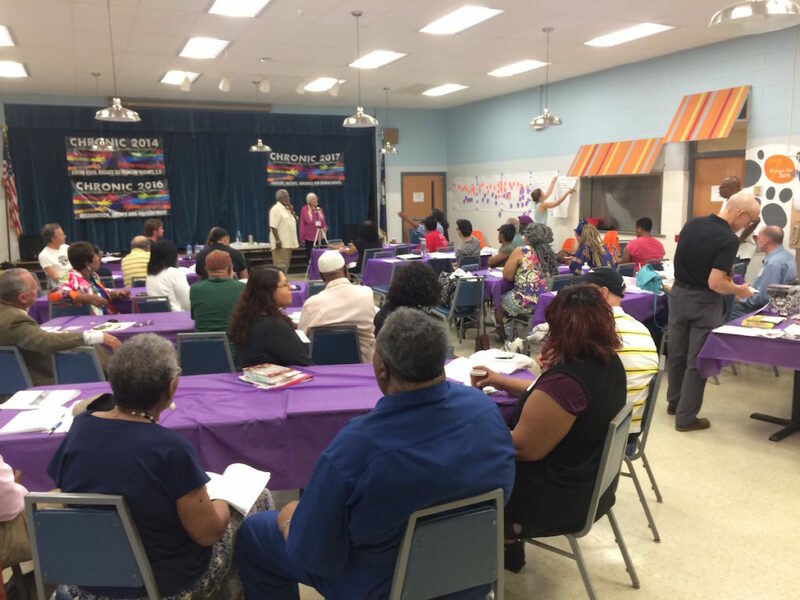 10/29-30/17: MERI members attended Southern Movement Assembly VII at Franklinton Center at Bricks in Whitakers, NC. 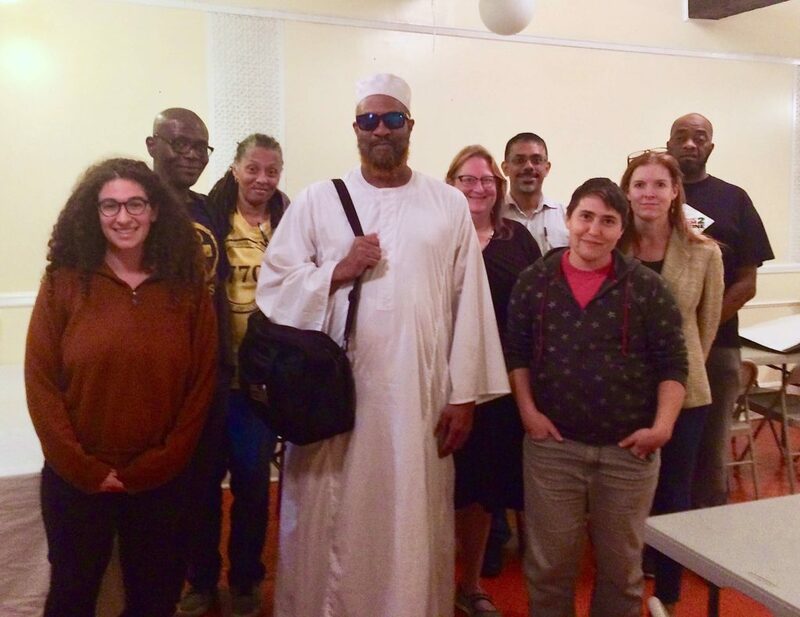 MERI members Letha Muhammad and Manzoor Cheema co-facilitated a workshop on Islamophobia with Shafeah M’Balia and Munir Abdul Hakeem (James Perry). 10/04/17. 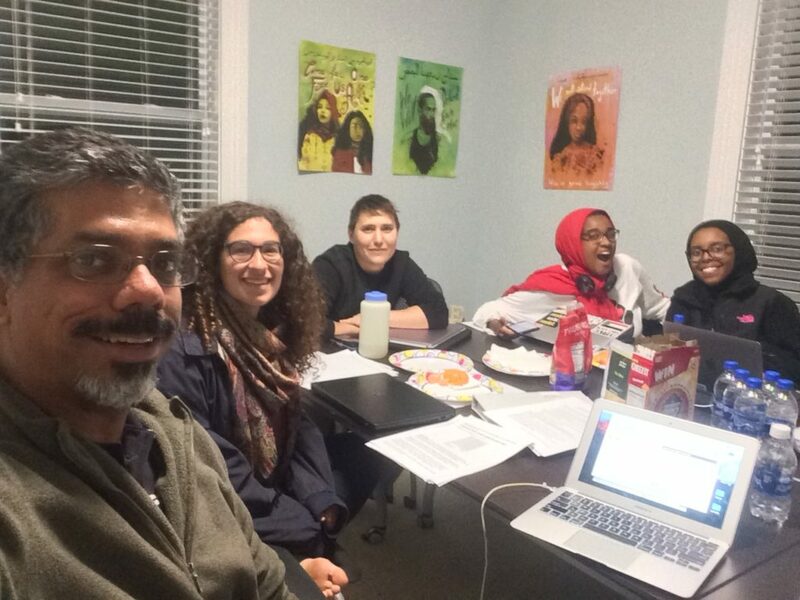 Anti-Islamophobia letter writing workshop in Raleigh, NC. 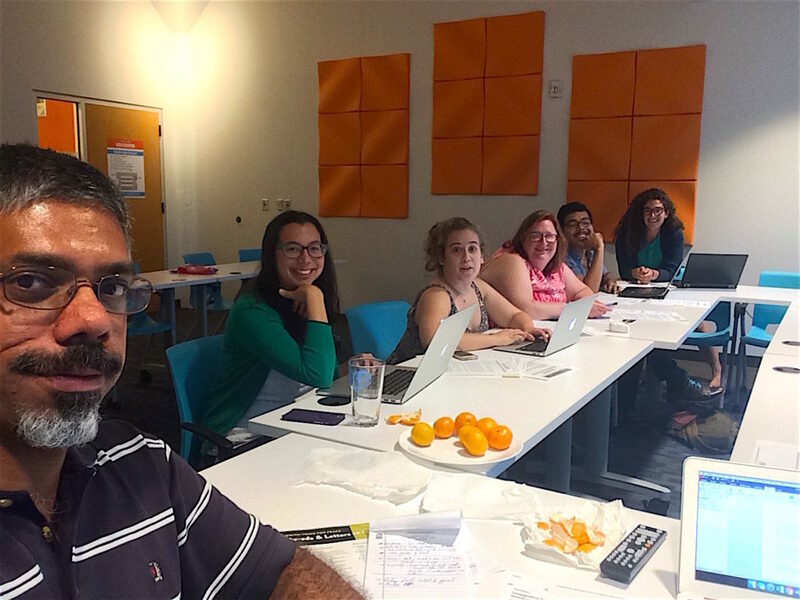 Members wrote letters on Muslim Ban, plight of Rohingya Muslims, and other oppressions. Read MERI media publications HERE. 9/16/17. Anti-Islamophobia workshop at CHRONIC (Carolina Human Rights Organizing Network) 2017 Conference in Greenville, SC. 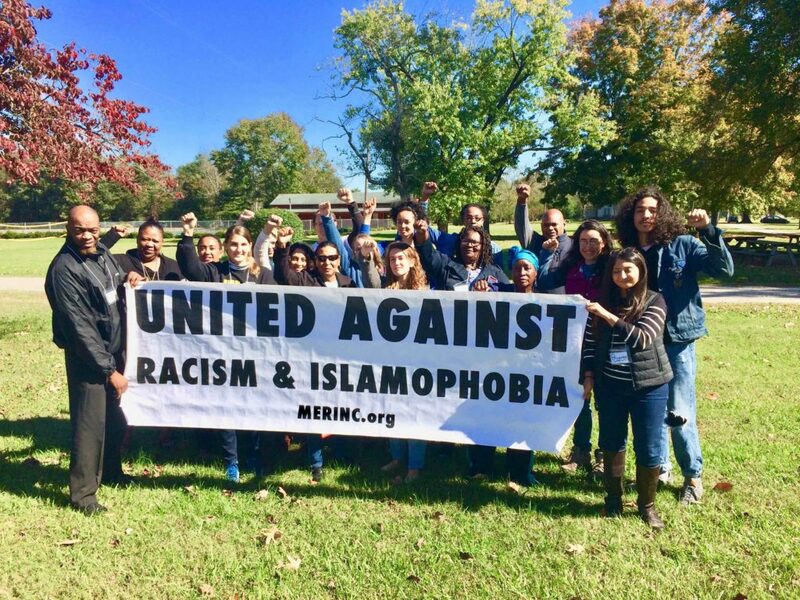 MERI Coordinator Manzoor Cheema made a presentation titled “Challenging Racism and Islamophobia” at this annual conference that brings together social justice organizers in South Carolina, North Carolina, and other parts of the country. 7/15/17. 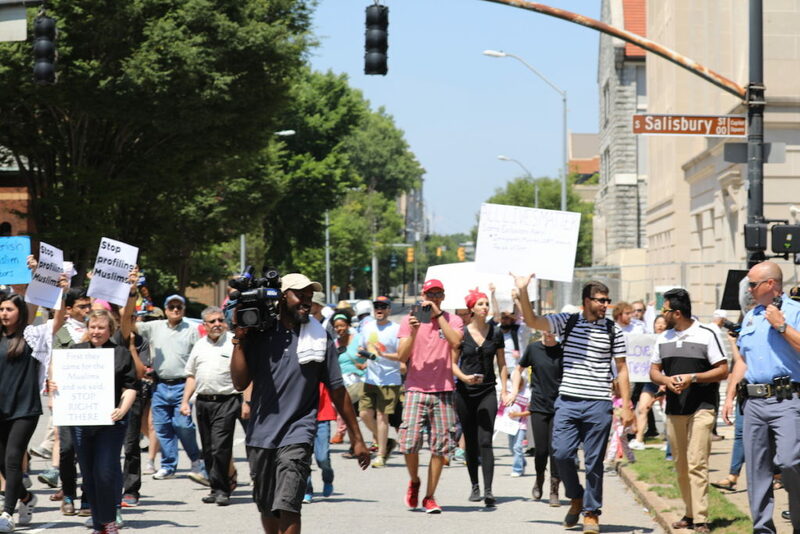 Partnered with Anti-Racism, Anti-Islamophobia, Immigrant/Refugee Rights Assembly in Raleigh. 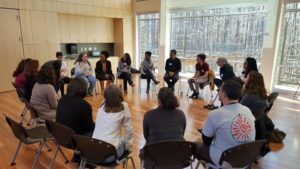 This grassroots people’s assembly brought together social justice organizers throughout the Triangle area of North Carolina and beyond. 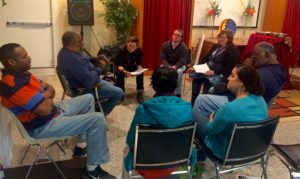 Participants strategized on building anti-oppression movement. 7/12/17. Anti-Islamophobia letter-writing workshop in Durham. 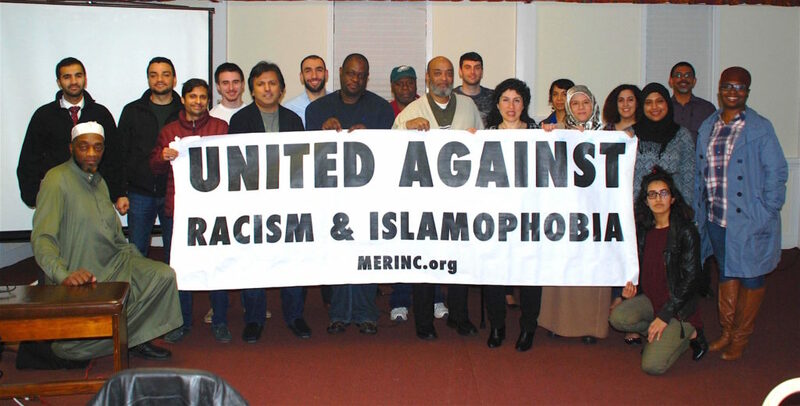 MERI organizes quarterly letter-writing workshops against Islamophobia. Click links to read letters and op-ed from this workshop. 6/10/17. Anti-Islamophobia protest in Raleigh (counter ACT for America protest). 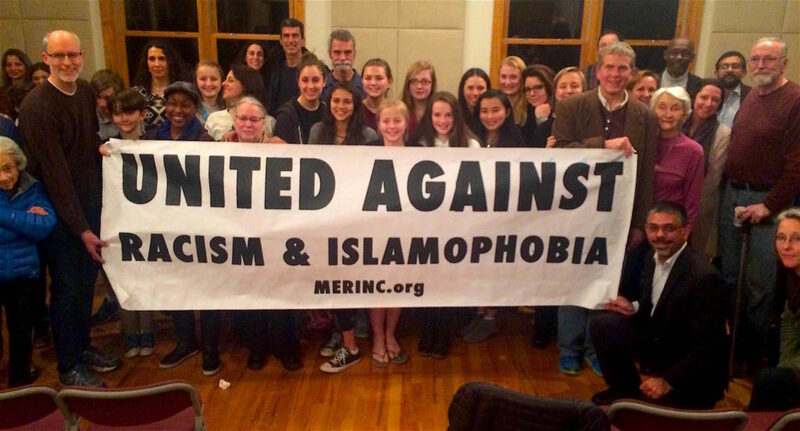 MERI supported anti-Islamophobia protest led by Muslim women organizers. Read more HERE and HERE. 6/7/17. 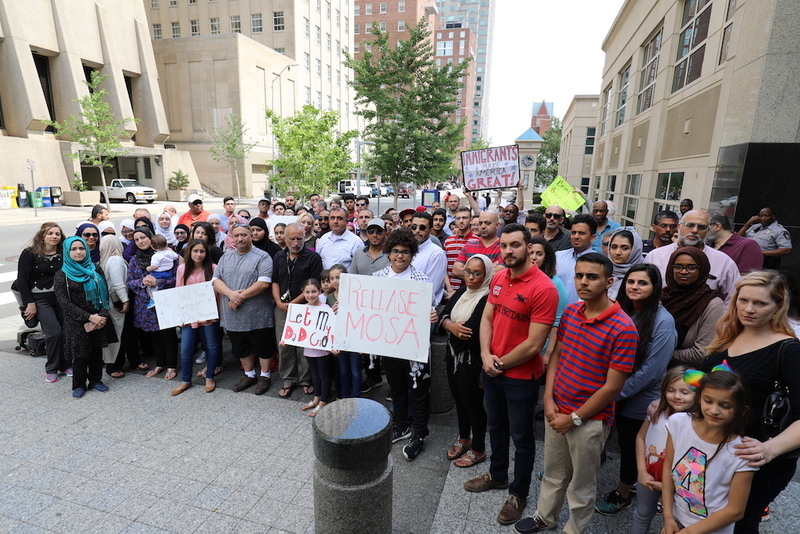 MERI upported press conference for the release of Mosa Hamadeesa from ICE Detention (MERI continued to mobilize for 2 months for the release of Mosa Hamadeesa) in downtown Raleigh. Participants contacted located legislators and ICE for the release of Mosa Hamadeesa. 4/26/17. Anti-Islamophobia forum at Fruit of Labor World Cultural Center in Raleigh, NC. 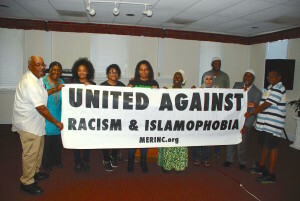 MERI co-organized Anti-Racism, Anti-Islamophobia and Worker Rights forum at Fruit of Labor World Cultural Center in Raleigh. 4/1/17. 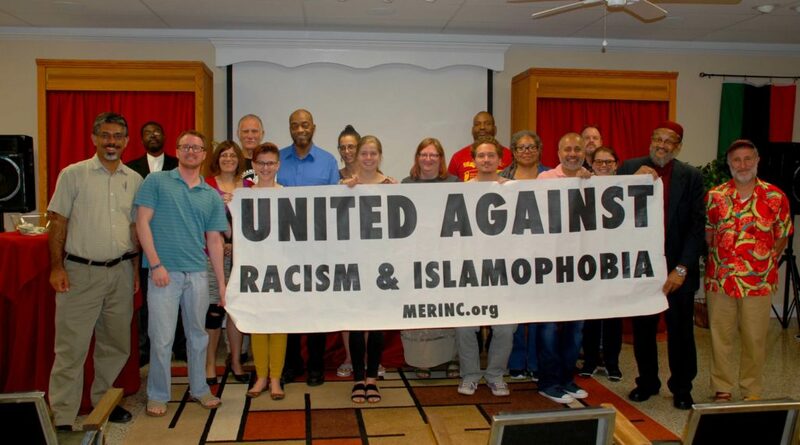 Anti-Islamophobia presentation at North Carolina Public Workers Union – UE Local 150 Municipal Meeting in Greensboro, NC. As a result of this presentation, UE Local 150 passed a resolution against Islamophobia at workplace. This was followed by a similar resolution by national UE Union. Read more HERE. 3/30/17. Anti-Islamophobia presentation at North Carolina State University School of Social Work’s Spring 2017 Symposium. The theme of this symposium was “Poverty and Advocacy: Intersectionality of Poverty, Race and Gender”. MERI Coordinator Manzoor Cheema made a presentation titled “ Challenging Racism and Islamophobia”. 3/25/17. 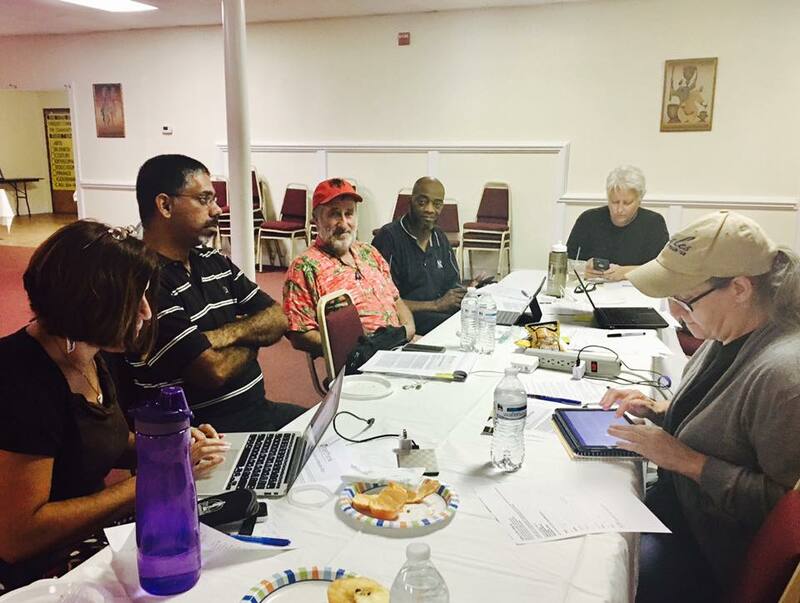 Anti-Islamophobia workshop at 2017 Jack Crum Conference organized by Methodist Federation for Social Action – North Carolina Chapter. MERI members Letha Muhammad and Manzoor Cheema co-facilitated this workshop. 3/18/17. Speech on Islamophobia at Legislative Meeting for Refugee Rights at NC General Assembly. 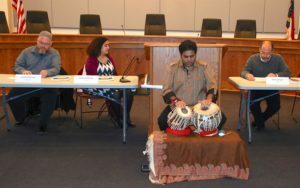 This event was organized by University of North Carolina Refugee Wellness. 3/4/17. Anti-Islamophobia presentation at Take It Back Raleigh event at Vital Link School. 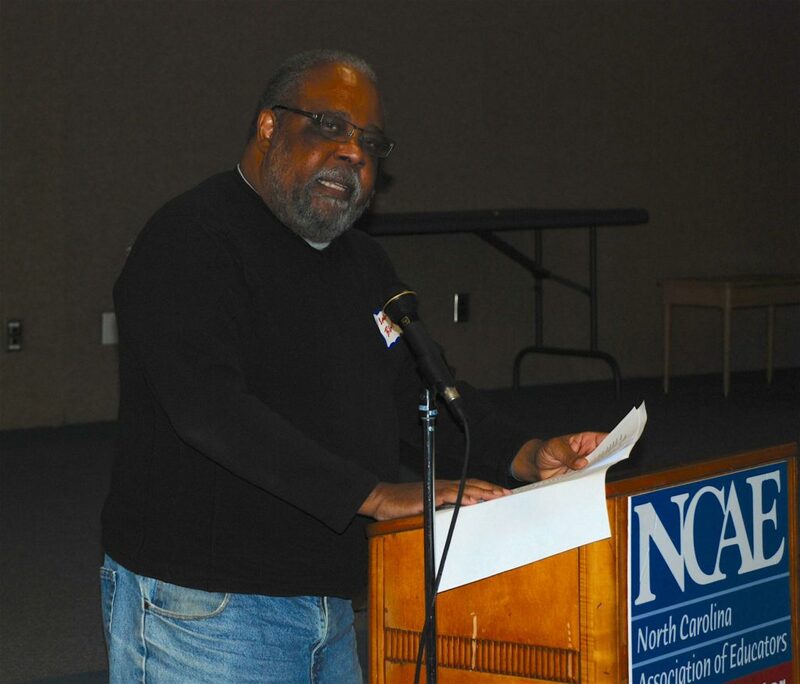 This event was organized Raleigh-based social justice organizer Erika Moss on behalf of Power Up NC. 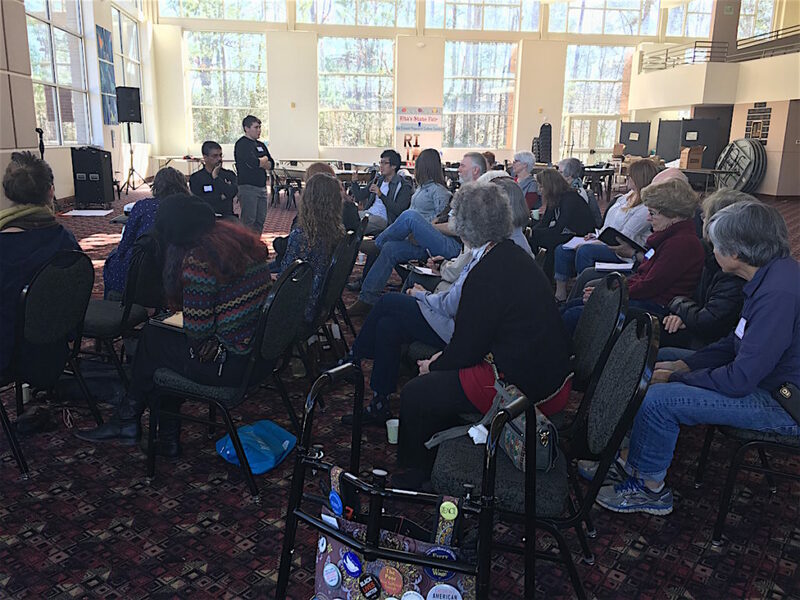 MERI participated in Triangle People’s Assembly in Durham, NC, on February 25, 2017. 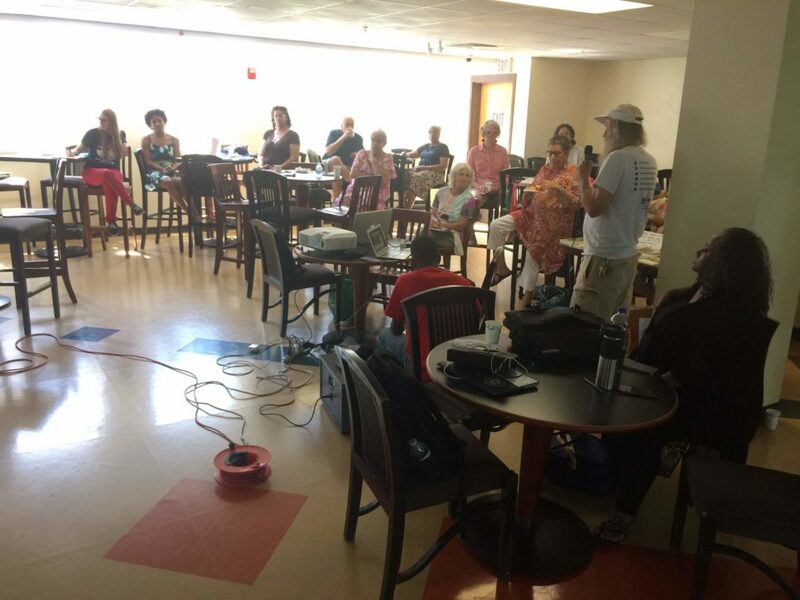 This event invited approximately hundred folks from throughout the Triangle area of NC. 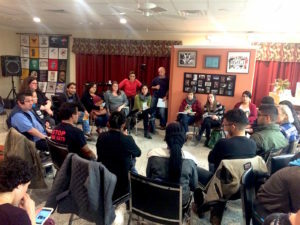 Participants discussed response to MuslimBan, attacks on immigrants, local action during May Day 2017, and other actions. 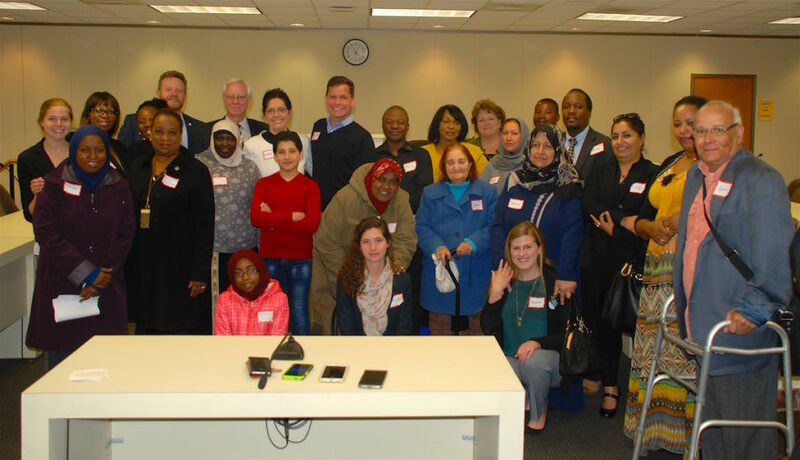 MERI facilitated Islamophobia workshop at League of Women Voters (Wake County) meeting in Raleigh, NC, on February 24, 2017. The League of Women Voters of Wake County is a nonpartisan organization whose purposes are to encourage the active participation of all citizens in government, to work to increase understanding of major public policy issues, and to influence public policy through education and advocacy. Learn about our workshops and presentations HERE. MERI members participated in HKonJ 2017/11th Annual Moral March on Raleigh on February 11, 2017. 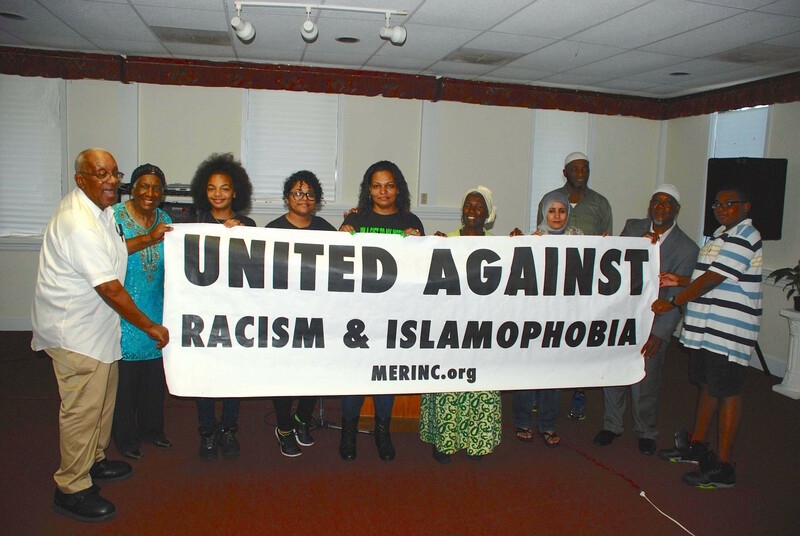 MERI Coordinator, Manzoor Cheema, spoke on the need to end racism, Islamophobia and other forms of oppression. 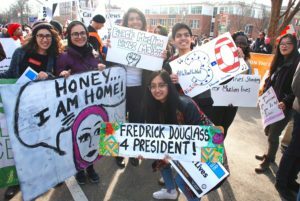 Anti-Islamophobia allies from MERI, Muslims for Social Justice, Jewish Voice for Peace – Triangle, and other organizations participated in this rally. 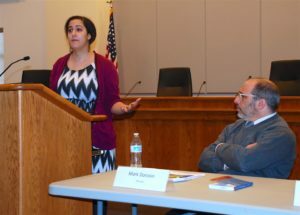 MERI made a presentation on Islamophobia in Winston-Salem on February 9, 2017. 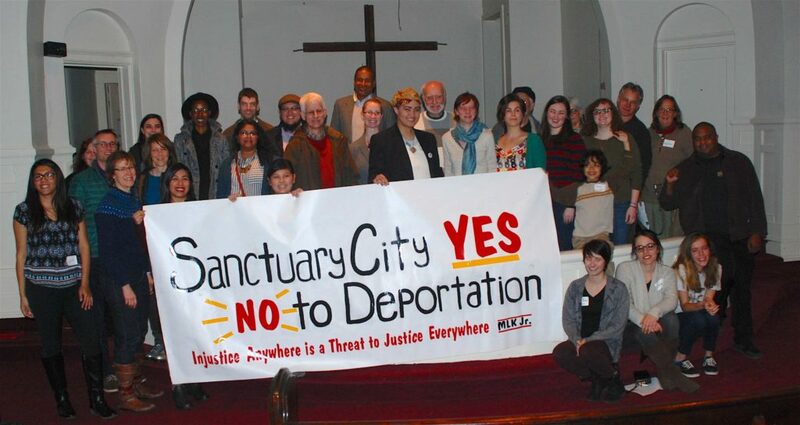 This meeting was organized by Winston-Salem Sanctuary City Movement and hosted by Green Street United Methodist Church. 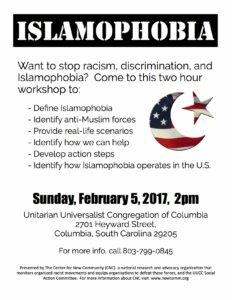 MERI facilitated a workshop on Islamophobia at Unitarian Universalist Congregation of Columbia, South Carolina, on February 5, 2017. 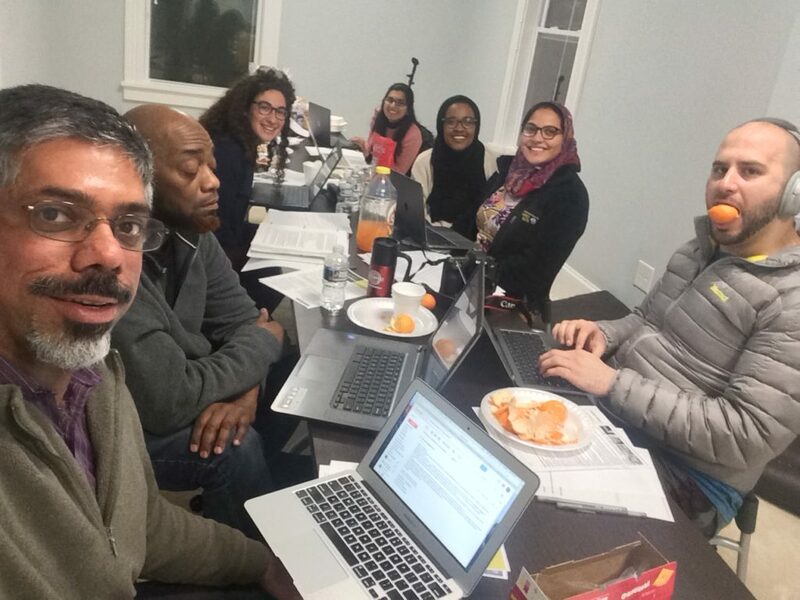 This workshop explored roots of anti-Muslim bigotry, connection between Islamophobia and anti-Black racism, cases of anti-Muslim bigotry in our community and how to challenge this oppression. 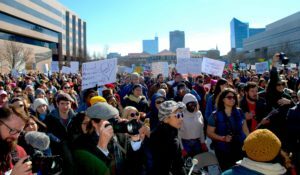 MERI members participated “No Ban, No Wall” protest in downtown Raleigh on February 4, 2017. 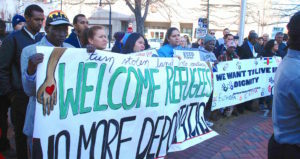 This protest was organized by NC United for Refugees and Immigrants and allies. 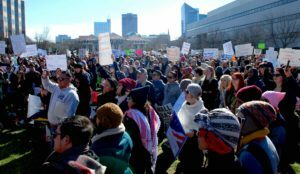 Members of Muslims for Social Justice, Jewish Voices for Peace – Triangle, and allies spoke about the need to defeat anti-Muslim bigotry, attacks on immigrants and other oppressions. 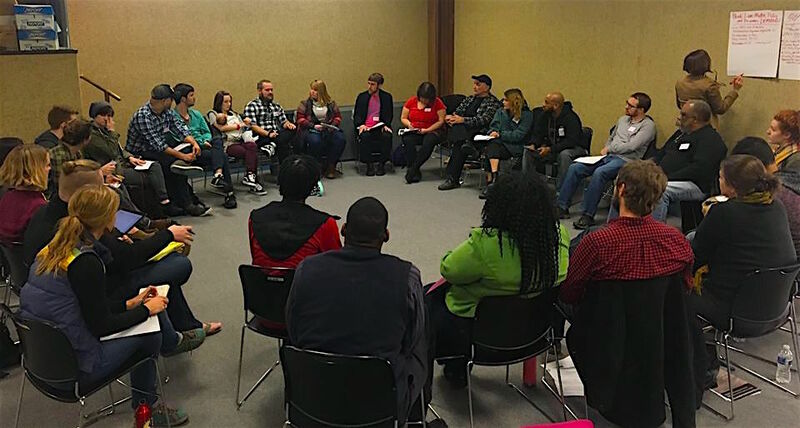 MERI facilitated a workshop on Islamophobia and racism hosted by El Pueblo in Raleigh, NC, on February 4, 2017. El Pueblo is a Raleigh-based organization that envisions a just and equal community where all are respected, valued, and engaged. 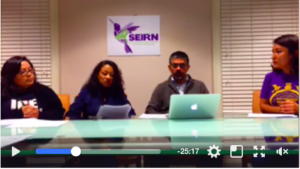 MERI Coordinator Manzoor Cheema spoke about MuslimBan executive order during a Facebook video conference organized by SEIRN (Southeast Immigrant Rights Network). 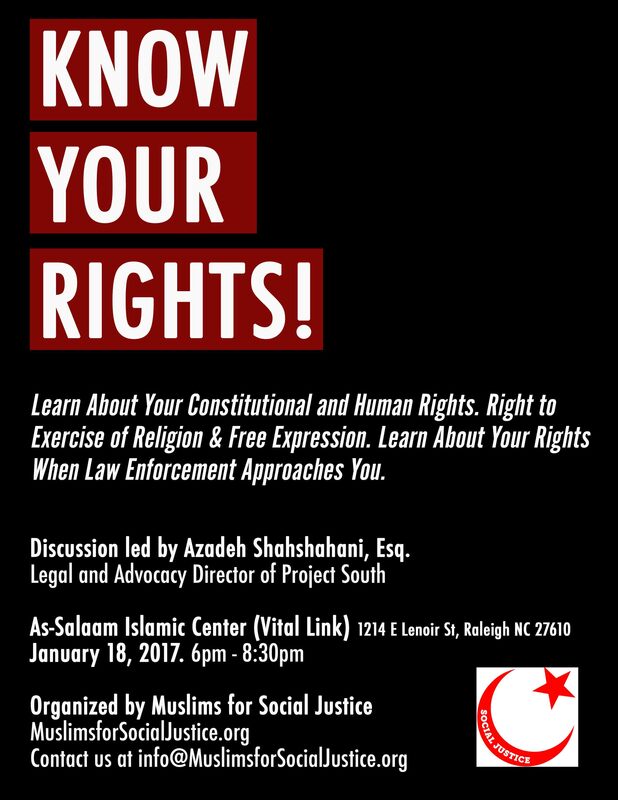 This event was organized in Raleigh, NC, on February 2, 2017. Other participants included Nayely Irais (SEIRN), Martha Hernandez (Comite de Accion Popular), Griselda Alonso (formerly with El Pueblo). 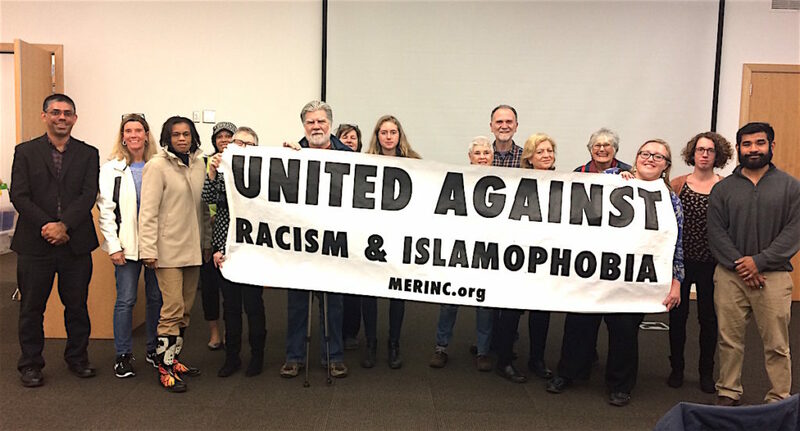 MERI made a presentation titled “Challenging Racism and Islamophobia in Hillsborough, NC, on January 29, 2017. This event was organized by Orange County Human Relations Commission. Panelists included Fatema Ahmad (Muslims for Social Justice), Mark Dorosin (Orange County Commissioner, UNC Center for Civil Rights) and Manzoor Cheema (MERI and MSJ). 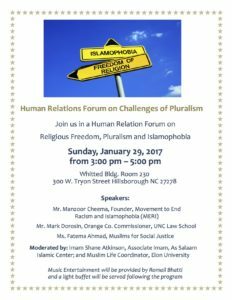 This discussion was moderated by Imam Shane Atkinson, Associate Imam at As-Salaam Islamic Center and Muslim Life Coordinator at Elon University. MERI members attended the second session of the Triangle People’s Assembly in Raleigh, NC, on January 28, 2017. 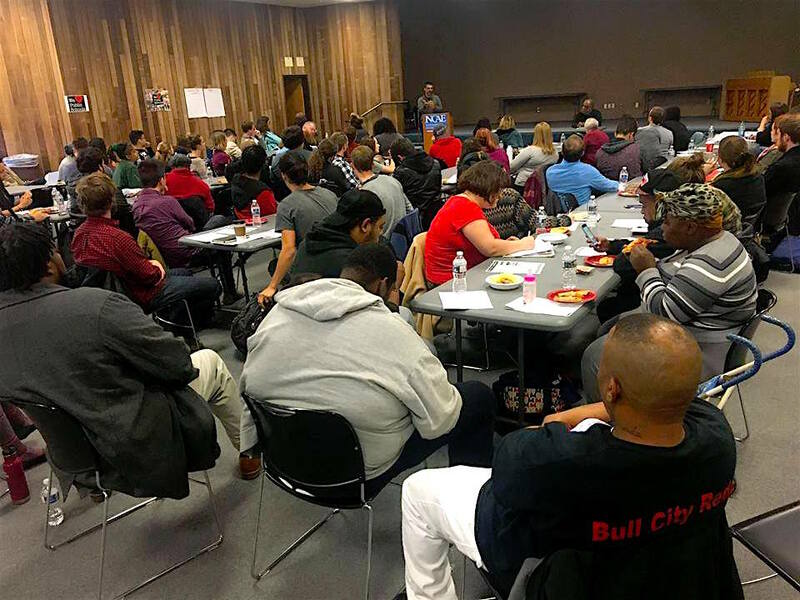 Triangle People’s Assembly was launched by a coalition of organizations, including Black Workers for Justice, Muslims for Social Justice, UE Local 150, Movement to End Racism and Islamophobia, Durham Solidarity Center, Fight for $15, Organize 2020, Durham Beyond Policing, and other organizations. Learn more HERE. 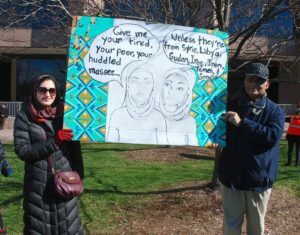 MERI members attended a rally in support of refugees in the wake of MuslimBan/anti-immigrant executive orders. 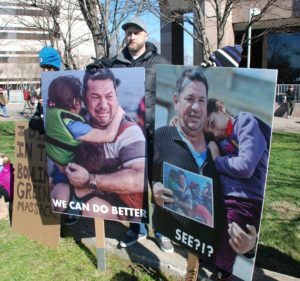 This rally was organized on January 27, 2017 in downtown Durham by NC United for Refugees and Immigrants and Christian World Service. MERI Coordinator Manzoor Cheema made a presentation on Islamophobia at Emerson Waldorf High School in Chapel Hill, NC, on January 19, 2017. Other panelists included Prof. Juliane Hammer (UNC-CH), Aisha Anwar (Carolina Performing Arts) and Imam Abdul Waheed (Duke University Muslim Chaplain). 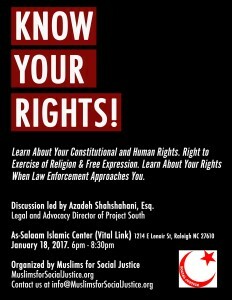 MERI supported the Muslims for Social Justice to organize a workshop titled “Know Your Rights” at As-Salaam Islamic Center in Raleigh on January 18, 2017. This workshop was facilitated by the international recognized human rights lawyer and legal director of Project South – Azadeh Shahshahani. 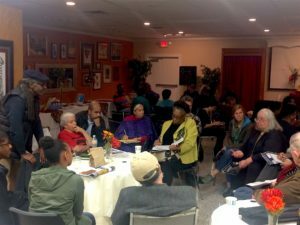 MERI partners attended a forum titled “Linking Our Struggles During the Trump Era” at Fruit of Labor World Cultural Center in Raleigh, NC, on January 17, 2017. This forum brought representatives from anti-racism, worker rights, immigrant rights, anti-Islamophobia movements and allies. Check out Know Your Rights resources by National Lawyers Guild. 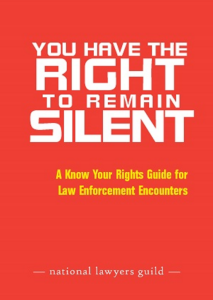 The following booklet provides information about rights when approached by law enforcement or government agencies (police, FBI, ICE, etc. ), and rights to freedom of religion and freedom of expression. Find the resources she shared with attendees in multiple languages here. 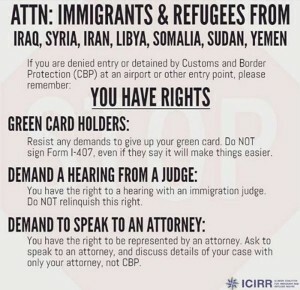 Here is important information for immigrants & refugees from Iraq, Syria, Iran, Libya, Somalia, Sudan and Yemen in the wake of #MuslimBan executive order. 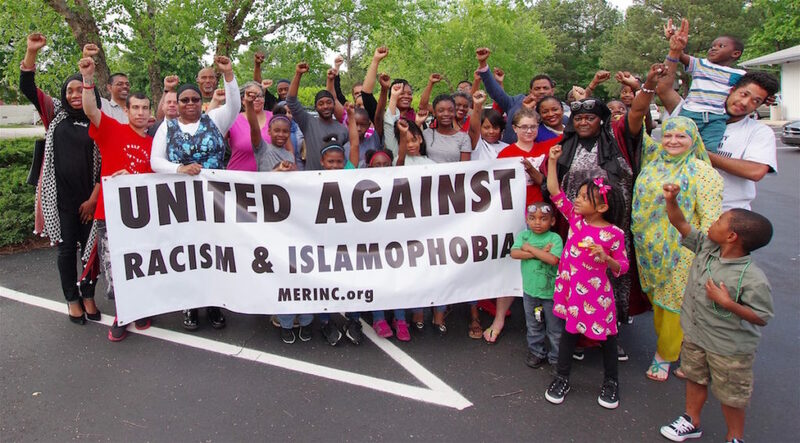 Members of the Movement to End Racism and Islamophobia will stage a protest outside of Extraordinary Ventures Event Center at 200 S Elliott Rd in Chapel Hill from 6-8PM tonight during a talk by an anti-Muslim speaker, Diana West. Diane West was invited to speak as part of the ICON (Issues Confronting Our Nation) lecture series. West has written in favor of profiling Muslims (source, 6/13/13) and characterized Muslim immigration to the US as an “invasion by alien hordes” (source, 8/26/15). Organizers expect 30 protestors with signs and chants outside the event. In contrast, the letter characterizes West’s positions as hate speech, noting, “There is a dramatic rise in attacks against Muslims as a result of hate speech and institutional Islamophobia. Muslims, and people perceived as Muslims, are attacked and murdered throughout the country.” On February 10, 2015, three Muslim students were shot to death in Chapel Hill, and police have investigated their murder as an anti-Muslim hate crime. 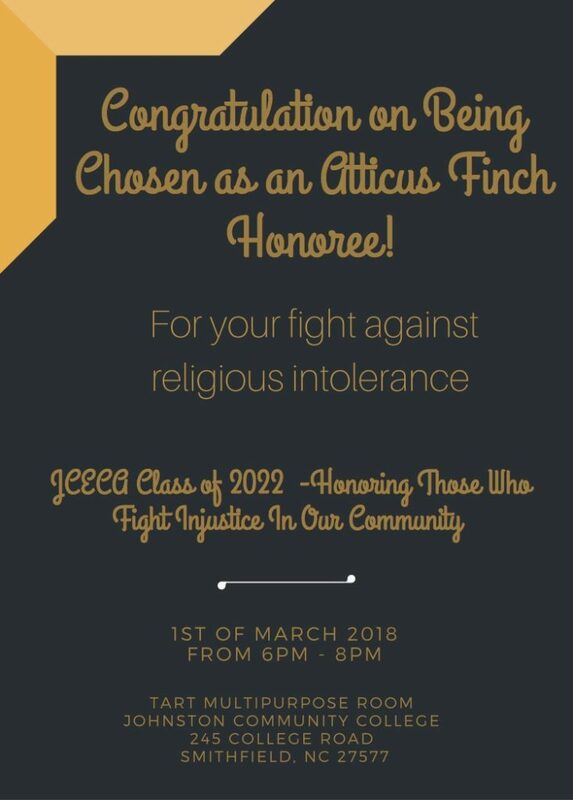 Protestors will call on EV to cancel this and all future ICON lectures, while noting that they appreciate EV’s mission to provide services for autistic and developmentally challenged youth, and as a venue for community events. 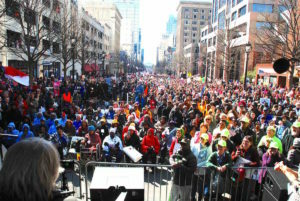 Organizations who signed the letter include the Abrahamic Initiative on the Middle East, Black Workers for Justice, Jewish Voice for Peace – Triangle NC, the Movement to End Racism and Islamophobia, Muslims for Social Justice, Triangle May Day Unity Coalition, Triangle SURJ (Showing Up for Racial Justice), and Witness for Peace Southeast. The letter was also signed by Dr. Mohammad Abu-Salha, whose two daughters and son-in-law were killed in the Chapel Hill shooting last year. As Triangle community members, we value the important work by Extraordinary Ventures, including services for autistic and developmentally challenged youth, and providing a venue for important events. We have been saddened to learn that on Tuesday, October 18, 2016, ICON will invite Diana West to speak at Extraordinary Ventures in Chapel Hill, NC. This is a disturbing development for peace and justice loving community members in the Triangle and beyond. Learn more about Diana West HERE. Roy Beck, who has spoken at white nationalist organizations like Council of Conservative Citizens. Jim Simpson, who believes that immigrants are trying to “destroy the culture” in the United States. Mark Krikorian, who asserted that Muslims are a “vicious people” and they celebrate 9/11 as a Muslim holiday. John Guandolo, who claimed that the goal of the Muslim Students Association is to “recruit jihadis” and “spread disinformation”. Hate speech has real life consequences for the marginalized communities. Muslims, and immigrants in general, have been demonized and dehumanized by the forces of hate. Laws and policies have been introduced against them, including in North Carolina, as a result of concerted efforts by these forces. Diana West has contributed to the hysteria against Sharia law, which has led to the anti-Sharia movement throughout the country, including in North Carolina. NC General Assembly members passed anti-Sharia law that was signed into law by Governor McCrory in 2013. In a study of 100 anti-Sharia laws introduced in the country, it was found that 80% of these laws were introduced by the same legislators who introduced voter suppression, anti-abortion, anti-gay marriage, anti labor union and anti-immigrant laws (source). There is a dramatic rise in attacks against Muslims as a result of hate speech and institutional Islamophobia. Muslims, and people perceived as Muslims, are attacked and murdered throughout the country. Three Muslim students were murdered in execution style in Chapel Hill in early 2015, an incident that many believe was an anti-Muslim hate crime. Victims of that heinous crime, Deah, Yusor and Razan, belonged to Muslim Students Association, the same organization that was demonized by Guandolo. As Triangle community members, we urge Extraordinary Ventures to say no to the voices of hatred and bigotry. Many of the speakers invited by ICON series have played a role in institutional oppression against Muslims and immigrants. Hosting such bigoted voices at Extraordinary Ventures will harm marginalized communities and negate the mission of Extraordinary Ventures. We request Extraordinary Ventures to cancel Diana West’s upcoming speech and the future lecture series by ICON. We look forward to working with you to build a peaceful, just and loving community.